The West Penn Rec Center in Polish Hill has just issued a new calendar of events for Winter 2016/17. See below! 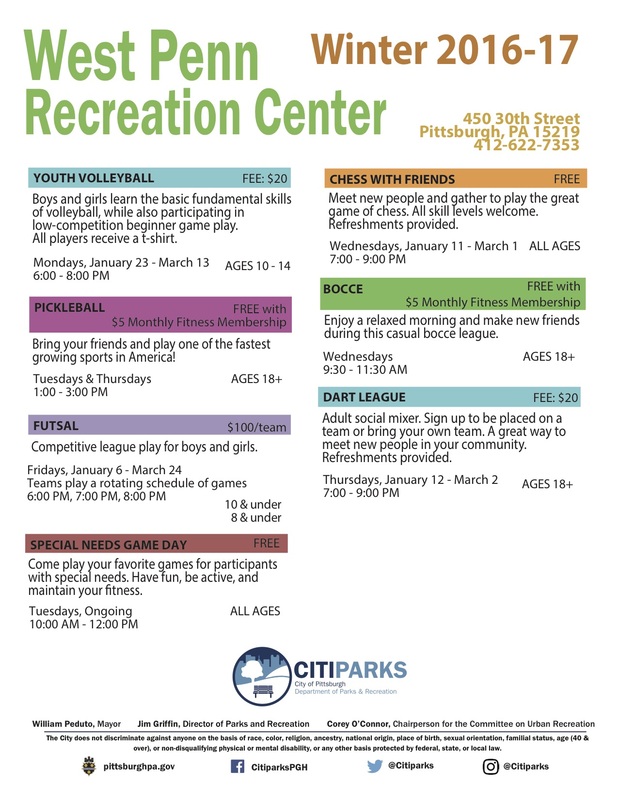 This entry was posted in West Penn, West Penn Park and Recreation Center. Bookmark the permalink.